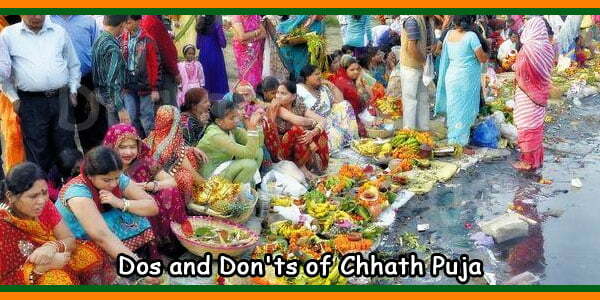 Chhath Puja is an important festival dedicated to the Sun God (Surya Bhagwaan). 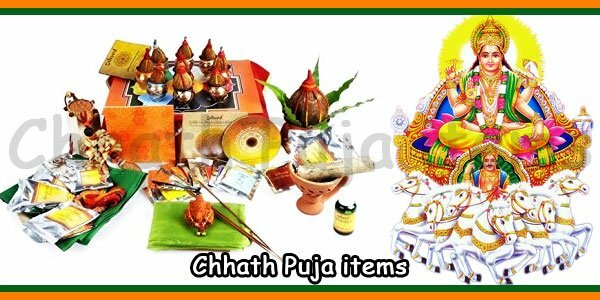 It is known by different names like Chhath Parva, Chhath, Chhathi, Dala Chhath, Surya Shasthi, etc. Though the festival is mainly celebrated in the states of Bihar and Uttar Pradesh, nowadays people from Chandigarh, Chhattisgarh, Delhi, Mumbai, Gujarat, Nepal, and Mauritius also have started celebrating it. Sun is responsible for maintaining life on earth. Sun is also worshipped to seek blessings for long life, health and prosperity. The festival is celebrated in October-November as per the English calendar. 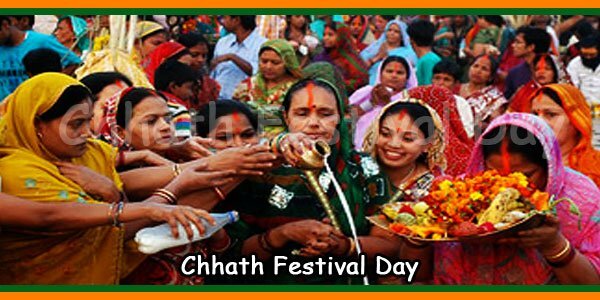 The word “Chhath” literally means “Six”. The festival starts on the sixth day (Shasthi) of Chaitra month and completes on the ninth day. It is believed that Sun has amazing healing power and the sunlight in the early hours would cure many diseases. 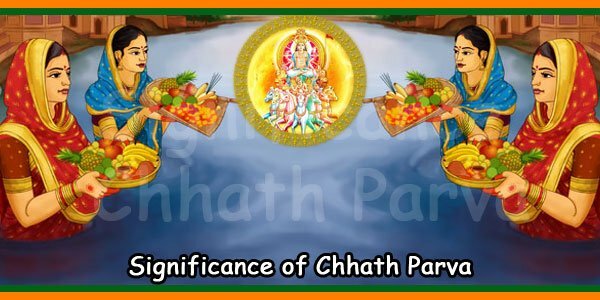 Significance of Chhath Pooja is briefly outlined below. According to the Yoga philosophy, the exterior forms of all living beings consist of energy channels of advanced stage. When the human body is exposed to solar radiations at some specific wavelength, the solar bio-electricity starts flowing into it. At certain physical and mental conditions, the absorption and conduction of this solar-bio-electricity become higher. 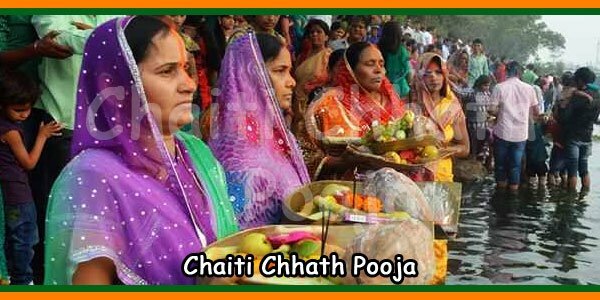 The purpose of the rituals of Chhath Puja is to prepare the human body and mind for the infusion of cosmic solar-energy. The ancients Rishis used to do the same process similar to what we do during Chhath Puja by observing fast, avoiding all kinds of solid or liquid diet. By practicing the similar process regularly , the sages were able to absorb the energy required for life directly from the sun instead of depending on food and water. The retina of our eye is a kind of photoelectric substance. When it is open to sunlight, very fine energy starts emitting from it. This photo-bio-electricity from the retina is moved to the pineal gland by the optic nerves linking the retina and the pineal glands. The pineal glands, the hypothalamus and pituitary glands (together known as Triveni) are close to each other and hence the energy produced in the process activates all these glands. It results in a continuous pranic activity thus giving the devotee a peaceful mind a healthy body. According to the Yoga philosophy, Chhath Puja process is divided into six stages of Conscious Cosmic Solar Energy Infusion Technique, as summarized below. 1st Stage: Keeping body and mind clean and observing fast will lead to complete detoxification of the mind, body and soul. 2nd Stage: Standing in a water body like river or pond with half the body submerged in water will reduce the loss of energy and will help the psychic energy (Prana) to flow upwards through the psychic channel in the spine (Sushumna). 3rd Stage: The cosmic solar energy moves from the retina to the pituitary gland, pineal gland and the hypothalamus glands through optic nerves. 4th Stage: Triveni or the tri-glandular complex gets activated. 5th Stage: A type of flow takes place in the spine that transforms the disciple’s body into a cosmic powerhouse. This will also awaken the latent coiled psychic energy called Kundalini Shakti. 6th Stage: In this stage, the disciple’s body becomes a channel that conducts, transmits and recycles the energy in the whole universe. 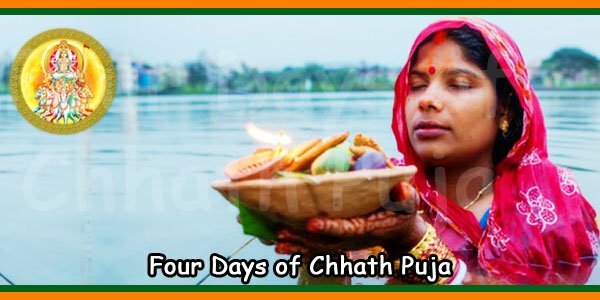 The main focus of Chhath Puja is on maintaining cleanliness and mental purity of the devotee. By performing several rituals, the devotee maintains extreme cleanliness in body, mind, all offerings and the environment. The long fasting that lasts for 36 hours results in complete detoxification of the body and mind because of the biochemical changes. A complete detoxification helps in maintaining the flow of psychic energy and makes the devotee more energetic. Using the energy, the natural immune system reduces the toxins present in the body. Detoxification processes like meditation, pranayama, yoga as well as Chhath rituals, help to reduce the amount of toxins present in the body drastically. With toxic reduction, less energy will be spent and the devotee becomes more energetic. Also it improves the skin texture and eyesight and reduces the aging process. Sunlight has healing power and its safe radiation cures fungal and bacterial infections. Because of Chhath Puja rituals, the blood stream absorbs more energy which improves the function of the white blood cells. Sunlight balances the secretion of hormones and fulfills the energy requirements of the body. Chhath Puja rituals produce calmness in mind. Since the Pranic flow becomes regular, the negative qualities like jealousy, anger etc. become reduced. If practiced sincerely with patience, it will enhance the psychic powers like healing, intuition and telepathy, which depends on the level of concentration and practice of the devotee. Though there may be some exceptions, for majority of humans, sunrise and sunset are the ideal time to safely receive solar energy. 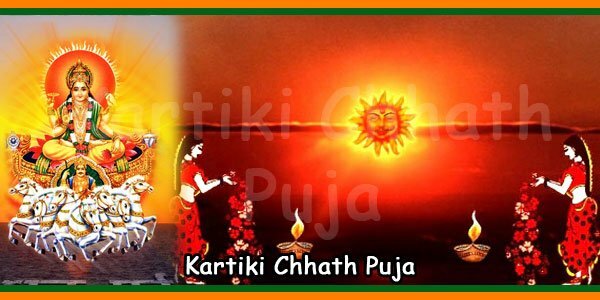 That is why Chhath Puja festival follows a tradition of offering Arghya to the sun in the early morning and late evening.